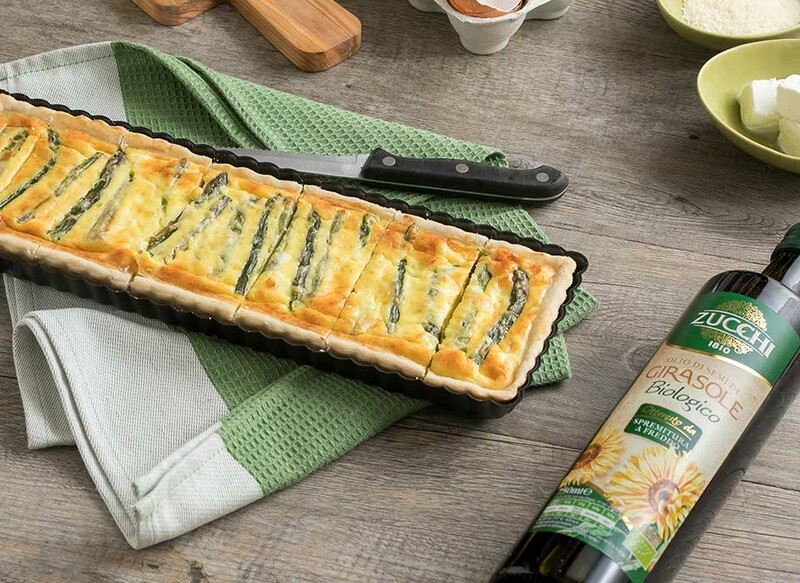 Spring, the season of asparagus and quiches. 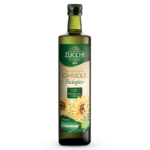 Combine them with the lightness of Zucchi Organic sunflower seed oil and you get this delicious quiche, full of the taste of spring. Pour the flour onto the pastry board and make a well in the middle with a fork. Add a pinch of salt and dribble in the sunflower seed oil, mixing in the flour around it with a fork, then also add the cold water, mixing all the time. Keep mixing the dough with your hands until you obtain a block of firm yet soft brisée pastry. Cover with kitchen film and leave to stand in the fridge for at least half an hour. In the meantime, trim and wash the asparagus and blanche it in salted water for 5 minutes. Drain and leave to cool. 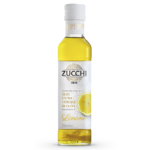 Break the eggs into a bowl, add the robiola and the Parmesan, season with salt and lemon-flavoured oil and mix thoroughly. Roll out the pastry on the flour-dusted pastry board until it is about 1/2 cm thick. Line the pie dish and trim the edge. Prick the bottom with the prongs of a fork and bake in a hot oven at 180° for about 10 minutes. Arrange the asparagus inside the pie dish, pour the egg and cheese mixture over it and return to the oven for about 20 minutes, until the filling changes colour. Remove from the oven, leave to cool and serve.